Virtual Business Card or in short vCard is the standard format (.vcf files) for electronic business cards. VCards allow you to create and share contact information over the Internet. Have you moved? Organised a function? 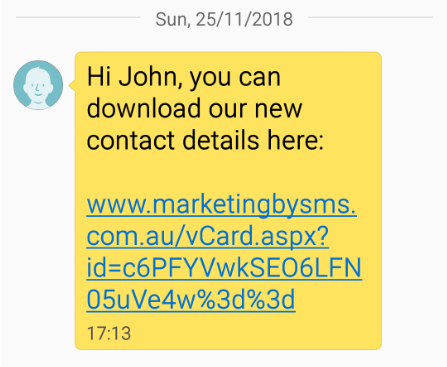 Need to send a prospect your business details? Just SMS them your contact details as a vCard and they will be prompted to add the vCard to the Address Book on their Mobile handset.